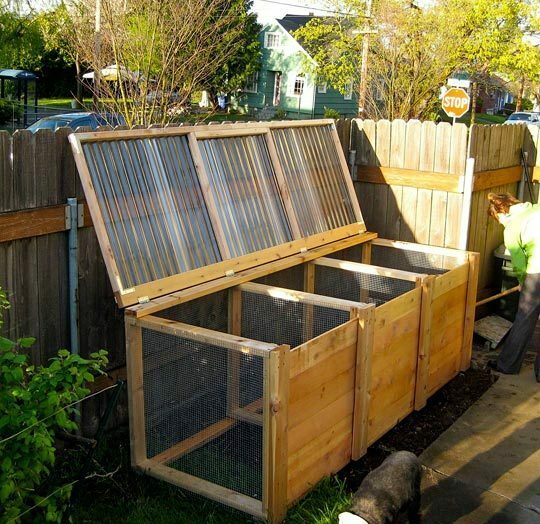 This entry was posted in Uncategorized and tagged Compost, DIY, Dreams of Grandeur, Garden. Bookmark the permalink. That’s pretty nifty looking! I love how you can see through the side. I wonder why it’s divided into 3 sections? & the dividers are so you can fill up one section real well & start on another while the first finishes breaking down. It lets you have 3 stages of compost going & can hold a massive of material. For those interested in vermicomposting (worms) it’s even better.